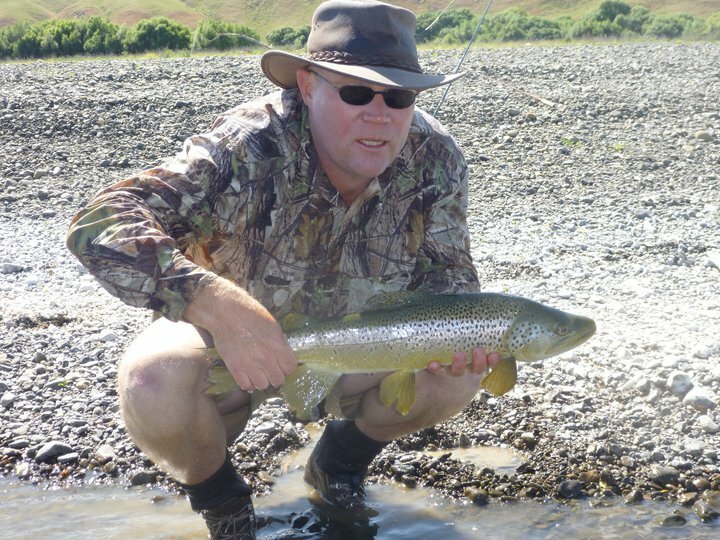 Simon Lusk is a committed fly fisherman from Hawkes Bay, New Zealand. He has been lucky enough to fish all over the world, but considers sight fishing for New Zealand trout the best fishing he has experienced. In this time he has been fascinated by the techniques required to consistently catch fish. Simon’s series of short posts, longer articles & books are based on his practical experience fishing as often as humanly possible over the last twenty seasons. For most of this time Simon has only fished to sighted fish, a Darwinian approach that has tested gear and technique where he has learned many tough lessons from cunning trout. Darwinian fishing has lead Simon to adopt a minimalist approach to both gear and technique. He has a very limited amount of gear, and what he does have has to work perfectly or it is replaced. An avid fly tier, Simon only uses flies he has tied himself, and has very small number of patterns. He considers being colour blind an evolutionary advantage as a fly tier, as he is never too concerned about the fly colour, and the trout he fishes to do not appear to be either.